The ultimate workhorse for harsh, demanding conditions. Purpose-built for use in Zero-Turn Mowers, Commercial Turf Series mower engines provide the best dust and particle filtration, an Advanced Debris Management System and beefed-up cylinder block structure. The result is one tough zero turn mower engine -- ready for anything, all in a day's work. 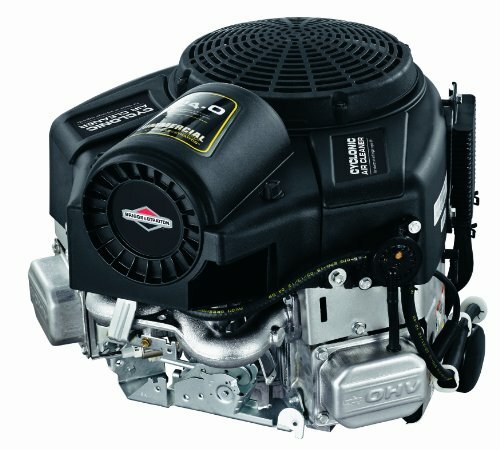 Buyer protection package provides two-year limited consumer and commercial engine warranty. Engine Displacement (cc): 724, Number of Cylinders: V-Twin, Engine Configuration: Vertical Shaft, Engine Technology: OHV, Length (in): 19.3, Width (in): 17.6, Height (in): 15.7, Weight (lbs): 84, Bore (in): 3.12, Stroke (in): 2.89, Engine Fuel: Gasoline, Fuel Tank Capacity (gallons): N/A, Lubrication System: Full Pressure, Oil Capacity (oz. 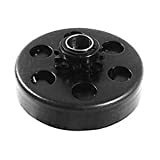 ): 64, Oil Filter: Premium, Starter: Electric, Air Filter: Integrated Cyclonic Air Cleaner - Patented 5 Step, Muffler: No, Fuel Shutoff Valve: Optional All power levels are stated gross torque at 3600 rpm per SAE J1940 as rated by Briggs & Stratton.